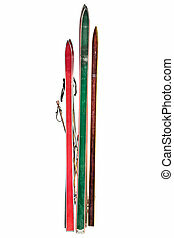 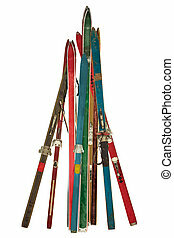 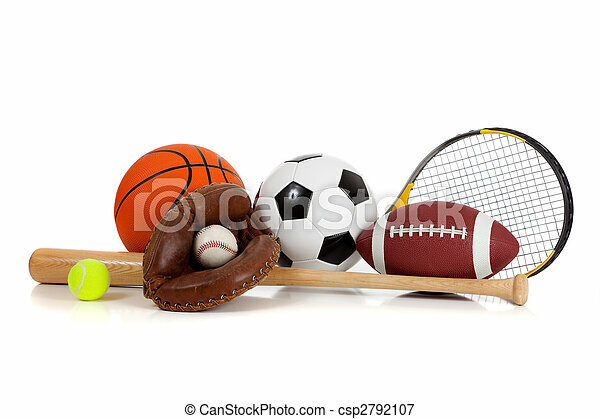 Assorted sports equipment on white. 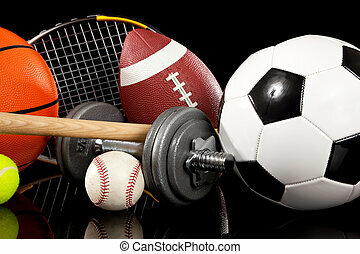 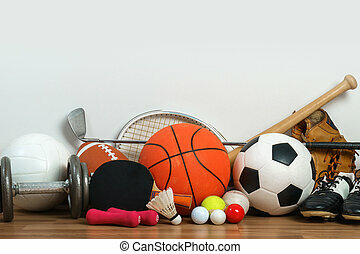 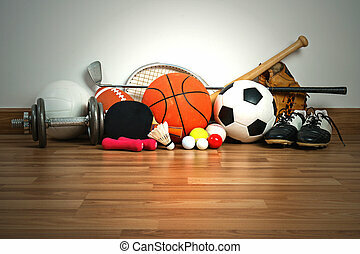 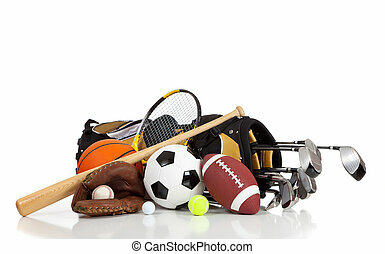 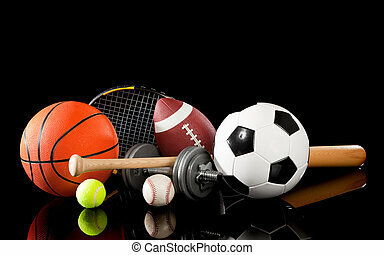 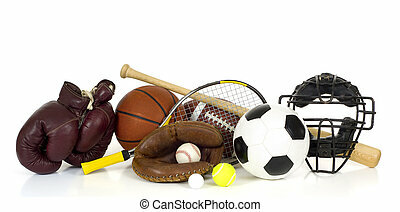 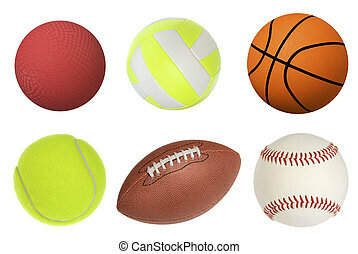 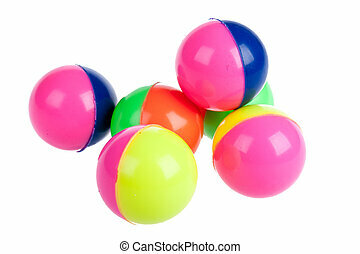 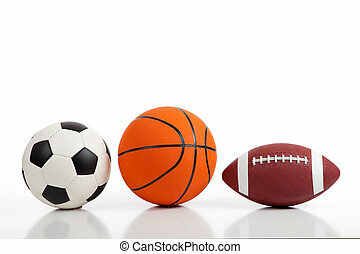 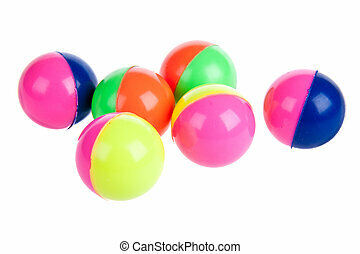 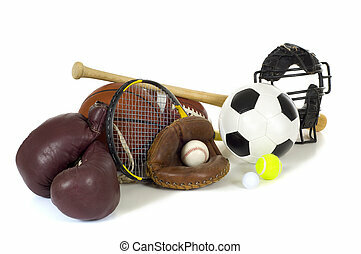 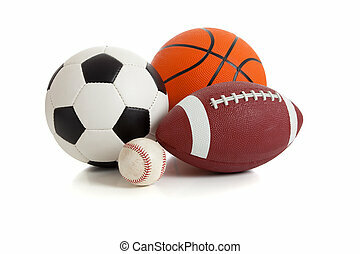 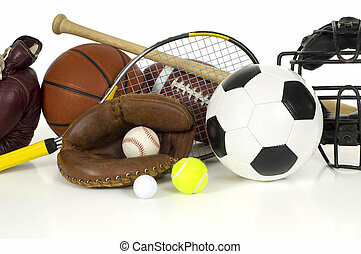 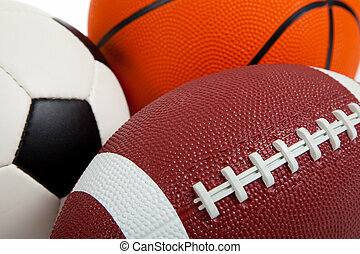 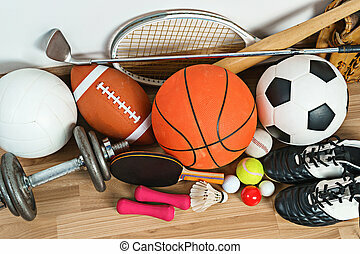 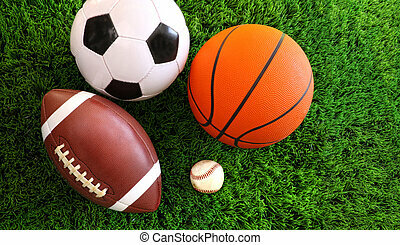 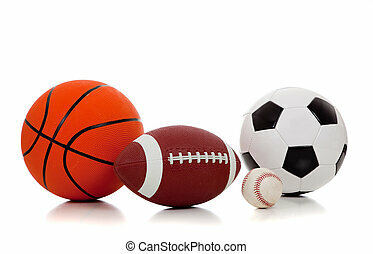 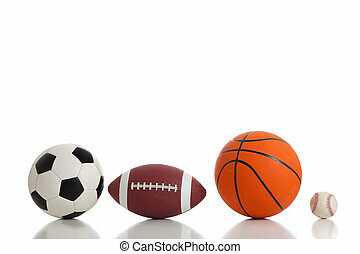 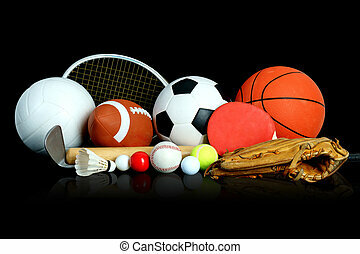 Assorted sports equipment including a basketball, soccer ball, tennis ball, baseball, bat, tennis racket, football and baseball glove on a white background. 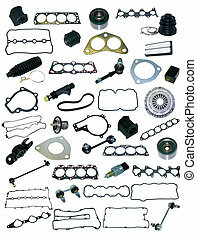 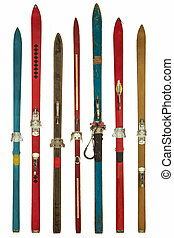 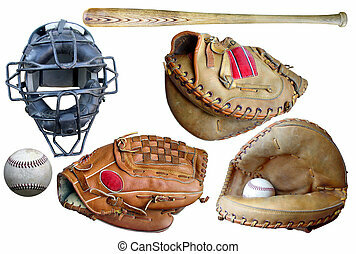 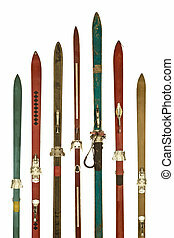 An assortment of baseball equipment isolated on white.